Our first full day in El Salvador we decided that we wanted to head to the beach. 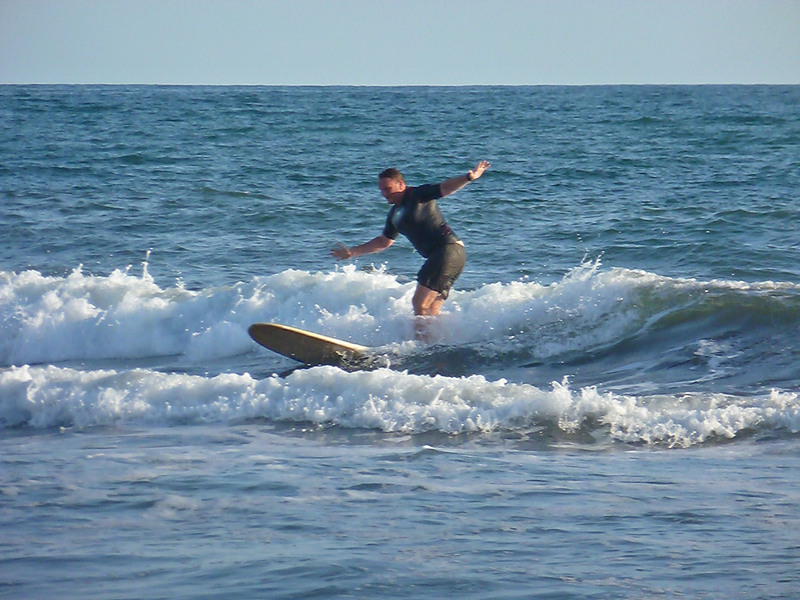 Just West of La Libertad (a town know for violent gangs) there are a number of beaches with small surf communities. 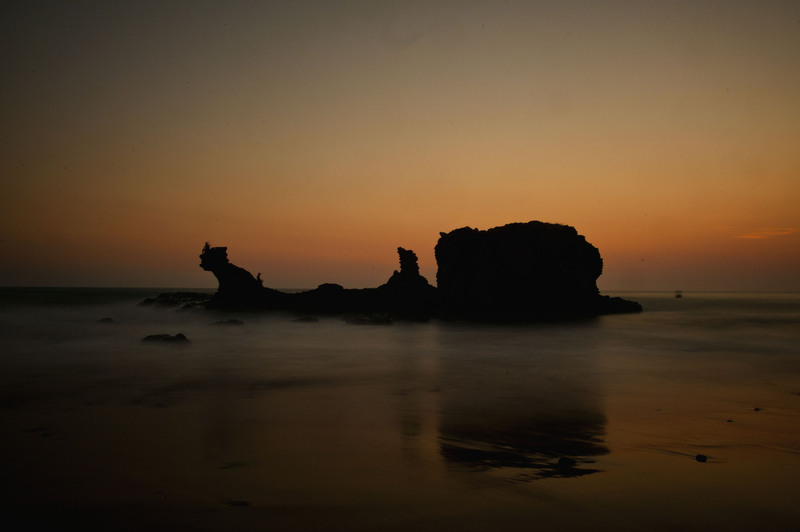 We decided to go to El Tunco where there is a small street of bars and restaurants and a long beach with some sizeable surf. On arrival we sussed out the little town and settled on staying at Roots Campground. The place wasn’t much but it was almost on the beach (you had to walk through a bar to get there) and we could get power for the truck. In the heat of this part of the world our fridge never turns off . 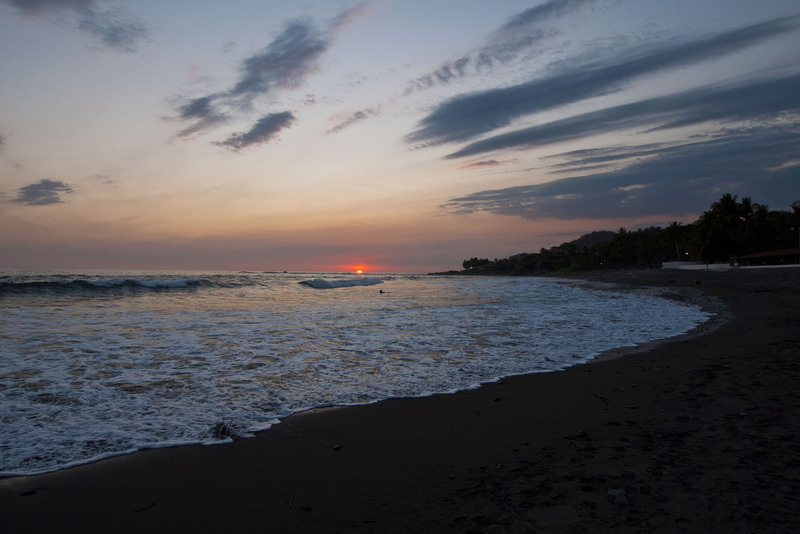 We spent 2 nights at El Tunco and then left for the weekend because it gets really busy with El Salvadorians, particularly at the bar next to our campground where they have parties at the weekend, but then came back the next week for another 4 nights. 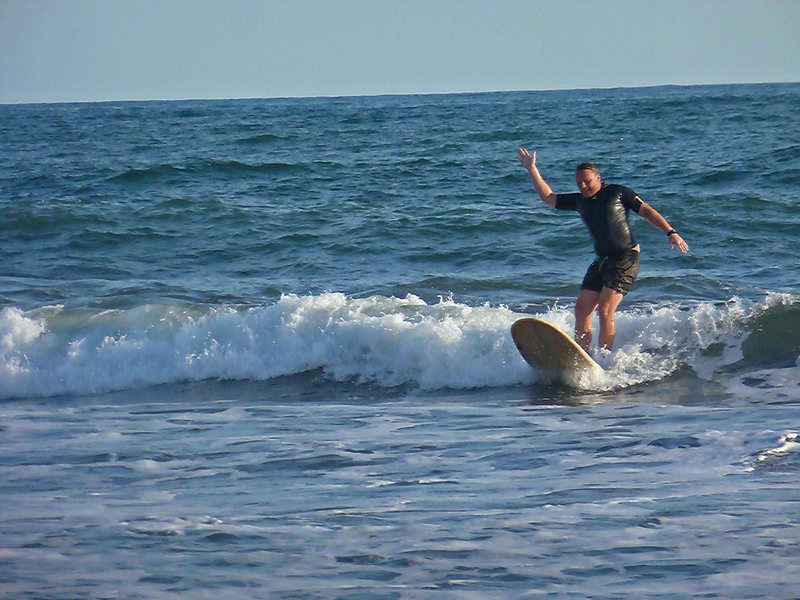 In El Tunco I did a surf lesson with a local surfer dude. He spoke no English at all apart from some key words such as “paddle”. 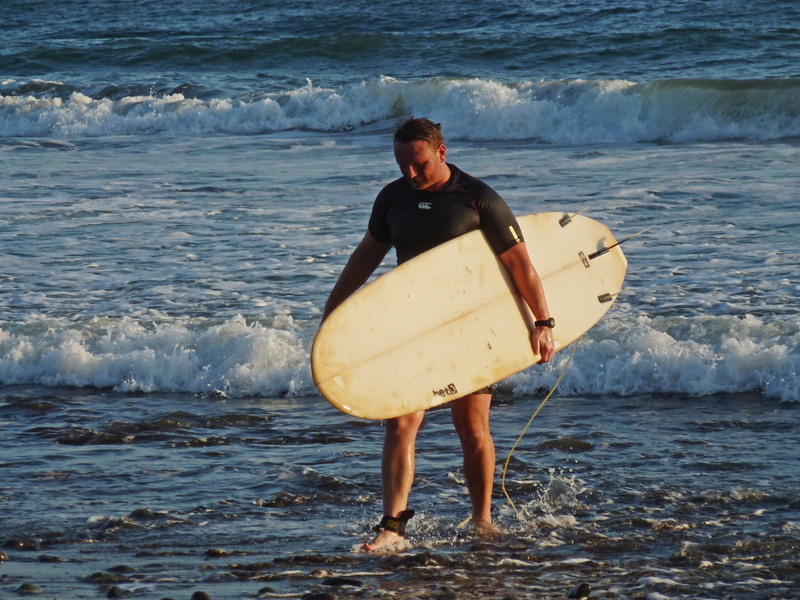 Well I managed to stand up a couple of times but I still haven’t mastered surfing. 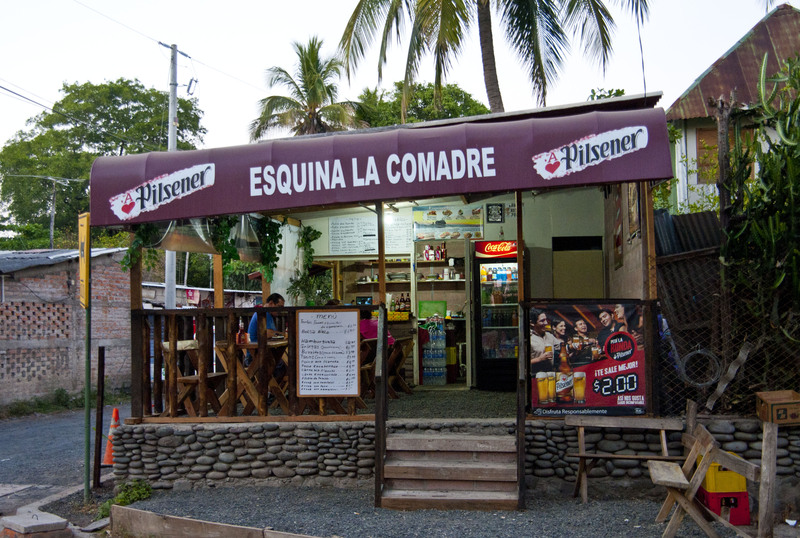 We found a great little outdoor restaurant where you could eat with a big bottle of beer for $4 each. We didn’t do a lot of cooking in El Tunco ! As we head further South it is getting hotter and hotter. It makes you realise how important elevation is in getting cooler. We’re now starting to plan regular breaks at altitude to have a cool nights sleep !